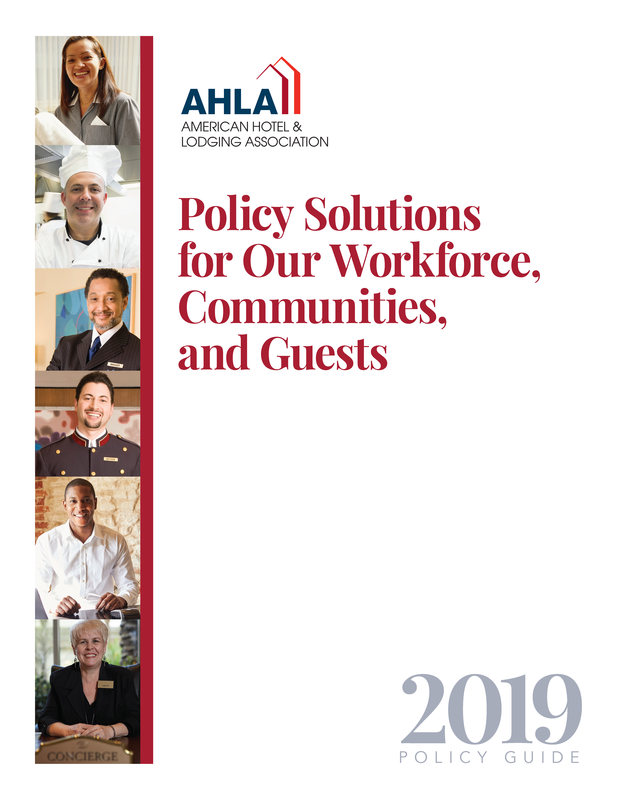 AHLA’s 2019 policy priorities, Policy Solutions for Our Workforce, Communities, and Guests, highlight the hotel industry’s advocacy agenda for the coming year. As the sole association representing all segments of the lodging industry, AHLA is committed to innovative solutions that support small business owners and keep our economy strong. Hotels support 8 million jobs both on-site and throughout the community, representing $355 billion in annual labor income and contributing nearly $600 billion to the U.S. Gross Domestic Product (GDP) while generating $167 billion in federal, state and local taxes. A typical hotel supports more than 250 jobs in the local community.